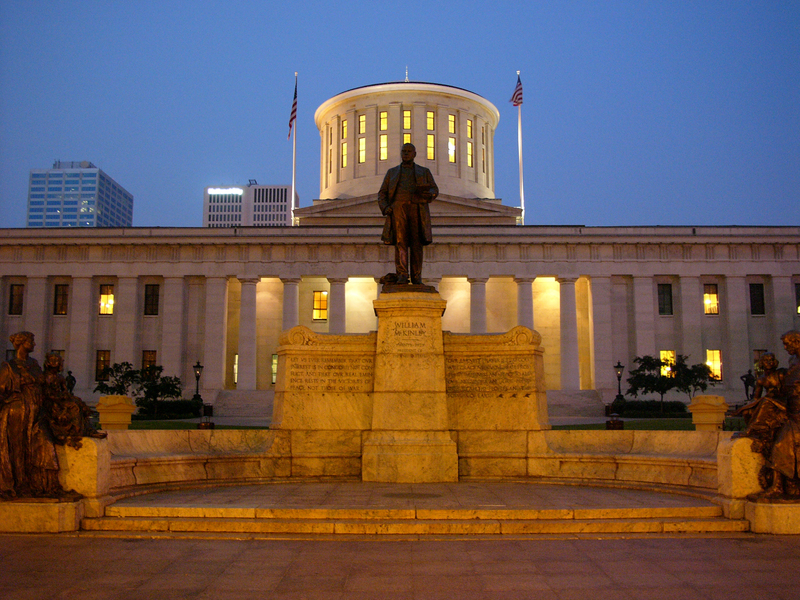 COLUMBUS – – Ohio nurses applaud the passage House Bill 456 sponsored by Representative Robert Sprague (R-Findlay). House Bill 456 will make Ohio the 19th state to outlaw nurse mandatory overtime – a potentially dangerous practice occurring across Ohio that can jeopardize safe patient care. The bill passed the Ohio House of Representatives with a vote of 74-10. 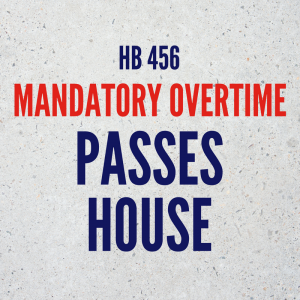 House Bill 456 would give nurses the right to refuse overtime if they feel too fatigued to continue to provide safe patient care without fear of termination or licensure sanctions. Fatigue can affect nurses’ ability to deliver optimal patient care. Research demonstrates that fatigue causes an increased risk in errors, decline in memory, reduced ability to learn, and impaired mood and communication skills. Further, scientific evidence links long working hours to many health effects, including cardiovascular disease and cancer. In 2011, the Joint Commission issued an alert that called for hospitals to intensify their efforts to monitor and address health care workers’ risk for fatigue caused by extended shifts. Even after this alert, it is still common place in Ohio to mandate RNs to work beyond their regularly scheduled hours. This practice is used to staff health care facilities on a regular basis and leads to nurse fatigue and burnout. “House Bill 456 is another step closer to positively impacting safe nurse staffing and consequently quality patient care in Ohio,” stated ONA president, Brian J. Burger, MSN APRN AGACNP-BC CCRN. “Nurses are professionals who are ethically-bound to assess their ability to care for their patients. If a nurse is too fatigued to provide the safe care his/her patient deserves, the nurse should have the right to refuse overtime without fear of discipline. “Prioritizing safe nurse staffing benefits everyone: nurses, patients and healthcare facilities. Research points to dissatisfied patients, increased errors and higher patient readmissions when nurses are not safely staffed. Furthermore, nurse burnout increases with regular extended shifts, leading to costly nurse-turnover for healthcare facilities. The needs and safety of the patient and nurse need to be put first instead of trying to cut initial costs by using mandatory overtime to plug nurse staffing holes,” continued President Burger. Federal laws prohibit the amount of hours worked by pilots, train engineers and truck drivers because of the dangerous consequences of fatigue. Because there is a not a federal law protecting patients and nurses to this degree, 18 other states have passed laws prohibiting nurse mandatory overtime as a means to address hours worked by nurses. Those states include Alaska, California, Connecticut, Illinois, Maine, Maryland, Massachusetts, Minnesota, Missouri, New Hampshire, New Jersey, Oregon, Pennsylvania, Rhode Island, Texas, Washington and West Virginia. The Ohio Nurses Association helped pass the current RN Staffing Law in 2008 – the foundation to begin addressing Ohio’s nurse staffing concerns. The staffing law requires hospitals to have nursing care committees who are tasked with creating, evaluating and adjusting the facility’s nurse staffing plan. House Bill 456 will now be considered by the Ohio Senate. “House Bill 456 is another much needed step in Ohio nurses’ quest for safe nurse staffing and quality patient care,” Burger stated.